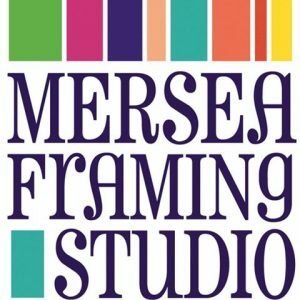 The Mersea Framing Studio provides a professional, high quality picture framing service, whether you need the finishing touch for one picture or an entire collection framed for exhibition. We provide expert advice about the choice of frames and mounts available to display your artworks in the best possible light. 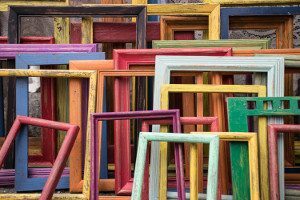 We stock a wide range of frame samples so that you can visualise how your framed artwork will look. In the unlikely event that you do not like any of the frames from our wide sample selection, you can select a different frame from our catalogues – we’ll source samples of your choices for you to look at before making that final decision. Apart from traditional framing, we specialise in framing memorabilia creating 3D frames – a perfect way to turn memorable objects into artwork for you to hang on your walls. Ever wanted a beautiful mirror in an elegant frame? We can do that too. All our framing materials are acid free (pH neutral) to prevent any degradation to your artwork. We’re always more than happy to provide guidance on choosing a finished product that will both enhance your artwork and protect it from ageing. Feel free to call or email us to set up an appointment to pop in with your artwork for a chat about your framing requirements and a no-obligation quote.